It's time to bring you the next article post in this website's line up. I felt like this time I would write a new entry relating to video games and one of my favourite series. I'm going to be featuring a new Top 10 list that focuses on the power, style and fighting technique of those deadly female fighters from the Tekken video game series. 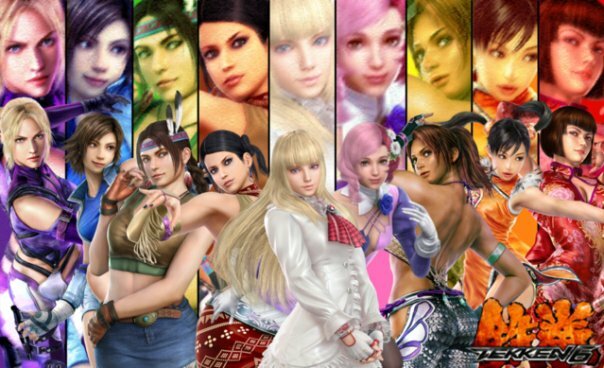 There have been quite a few female fighters in the Tekken series but to narrow this down, I'll only list fighters who are currently in the game's line up (i.e. 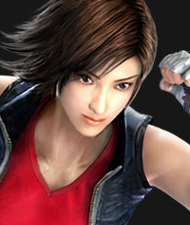 Jun Kazama and Michelle Chang will not be listed as one is "retired" and the other is "missing). Alisa has proven to be a powerhouse when it comes to power and fighting style. Her premiere in the Tekken 6 console version highlighted her ability to assist Lars in taking down armed guards and robots. I felt she was a little annoying at some points during the story mode but a great ally to have in the game. However, due to the fact that she is a half-human half-cybernetic fighter, I don't feel it is completely fair to place her higher in the list because of the enhance fighting capabilities. That and her somewhat over the top fighting moves place her in the number 10 spot. I will be honest that Julia is not one of my favourite characters in the Tekken series. I find her somewhat boring and unoriginal in comparison to her adoptive mother, Michelle Chang. It's like when Kira from Mortal Kombat was created using the same designs as Sonya Blade; more of a carbon copy. Her storyline is touching and she can do some good moves but in comparison to the rest, she still doesn't rank higher on my list or pool of fighters. Wait a second, let's take a moment and answer the two questions that are flowing through your mind right now: (1) Yes, the Panda is a girl and (2) Yes, there is actually a fighter in Tekken that is a Panda. The animal characters are a hit-and-miss with me. Sometimes they're enjoyable to play as but most times I feel they're a gimmick with a tendency to make an important fighting moment really humorous. 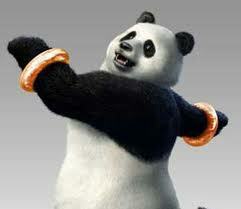 I don't personally use Panda as a fighter on most occasions because I feel her fighting style is slow in comparable to more agile fighters. She does bring a comical aspect to a series and we always need that. One of the deadly William sister assassins. What she makes up for in fighting is accumulated in her desire to destroy all those who come in her way. I've played both as Nina and as Anna and what I've determined is that Anna is more stiff in her fighting style. May have to do with the high heels but she doesn't rank higher on the list. She does make a great neutral/villain in the series and you've got to love the strange animosity in her sisterly relationship with Nina. They're pros and cons when dealing with Ling as a fighter. She is very agile and acrobatic so she could easily be a quick fighter to work with. I recommend new players to the series to practice using her for a while because it would be easier to distinguish the mechanics on how to play. The downside is I don't feel she could deliver a big punch when fighting some of the more powerful fighters in the game. Also she does lump in to the annoying category. You can be peppy and perky but mix that together with a boy crazy crush, anime style and big Panda pal and you've got a recipe to annoy players left and right. She's the newest female in the series and can I say...weirdness. Her fighting style can only be described as like a scorpion who is ready to strike at any moment. She's mysterious and I would love to see how the series developers incorporate her further in the series now that her responsibility of warning about the temple is over. I feel that if they utilize her correctly, then she could become one of the strangest yet important characters of the series that isn't a Mishima. Earlier, I had pegged Asuka to be higher on the list but then I determined something. She's a good fighter, almost in the same league as Jin and Kazuya, but her fighting style is really similar to that of Jun. I'm a fan of originality to a point and Asuka is a great character to play as when you're fighting against another competitor but she's not the be-all-end-all of fighters in the game. A lot of you would place her at number one or in your Top 3 and that`s fine; we all have our own opinion as our best fighters and Asuka isn`t in my Top 3. The other Williams sister Assassin. I must note that Nina is the only character to have a spin-off game created specifically for their character and storyline. She's agile and quick, secretive and deadly, and actually has a full-grown son who fights against her in the game (let's not dig into that chestnut). As an assassin, she fights right to the jugular which many of the other characters do not. She's powerful and work her way around many of the other fighters in the game. I really love her storyline and can't wait to see what happens next in terms of her and her son Steve Fox. I don't think many people are familiar with the Capoeira fighting style. It's a perfect mix of moving to the beat and fighting against your opponent; Christie definitely uses it to her advantage to defeat her opponents. She's fun, quirky and definitely makes the game enjoyable when you get to interact with her in the story mode. The reason she's not number one is that sometimes you have to utilize the moves correctly to make it effective and if you can't then you may have a problem. While her fighting stance is similar to Eddy Gordo, I find her effectiveness to be more precise. Many of you are probably going "WTF" right now but you'll probably agree with me at some points. Her fighting style is incredibly unique; it's a mix of acrobatics, ballet and fighting. Her storyline is interesting and could be vastly adapted more to be more complex. I love her rivalry with Asuka because it shows the cattiness of the characters and gives them more personality. Also, you just end up liking her. She may not be one of the strongest female characters in the game like Nina or one of the most agile like Christie but you can agree that she is the most technical and unique female fighter in the game. That's why Lili Rochefort earns the top spot on the list. Agree or Disagree with the list? Share you opinion below and tell me where you think each fighter should be placed on the list! I think you should name this top 10 "My favourite Tekken girls"
WHERE THE HELL IS KUNIMITSU!! I think that Alisa should have been at least 5th but yeah Lili is very talented but compared to Jun i think it would be like fighting fire with fire. Lili is the strongest female character in the tekken;hef attacks deal high damage and a combo plus her powerup can onehit anyone,,her only problem is shes not that fast. But i agree that lili is number one because shes great and shes the most beautiful of them all. Christie should be number one! 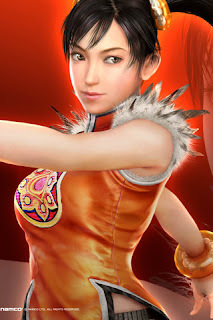 in my opinion Ling Xiaoyu should be in no. 1. i am not really sure how good you are in playing this game. I don't like the part when you said "the down part of Ling" clearly you dont knwo how to play with other characters. having fast attacks, counterattacks, chain combos and good strength. She also gives the guys a run for their lives. She's been there since the beginning, meaning, she's been one of the few characters that has been worked on a lot, Nina only gets better by each installment. I don't agree with Lili being on top, and definitely don't agree with Cristie being second either. Lili is one of those annoying characters easy to use, Cristie is a copy of Eddy. Julia should be ranked higher, she too is a powerhouse and a very good fighter when used properly, I cant see how Panda is higher. 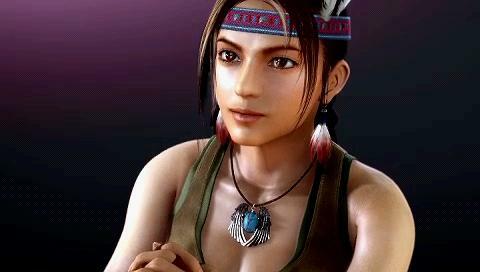 In my opinion, Nina is the best female fighter in the history of tekken. Maybe across over Street Fighter or Mortal Kombat. In tekken, she's one of the only female fighter who I can think of that has been involve in main storyline around Jin, Kazuya, Heihachi, Orge and etc. Well then you probably didn't play with lili. If you master her, she is fuc**ng terrifying. If you become trapped in her combo, then there is almost no way out. And she isn't one of those characters that do a type of Martial arts. She never learned material arts. She teaches herself to fight and created her own unique fighting style. 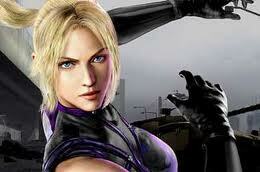 Its her own teaching of her own fighting style.so it comes unique,But for my opinion Nina Williams is the strongest female fighter in tekken.Look she Is always in tekken,in tekken 7 last update she's added. Lili is always none other than my top pick. She's my one and only love who I can never stop loving.